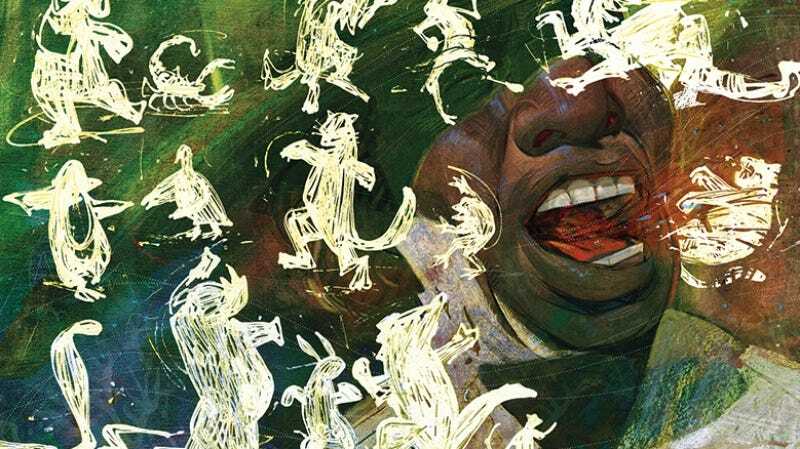 A preview of Francis Vallejo’s art in the Folio Society’s collectors edition of Neil Gaiman’s Anansi Boys. All images: The Folio Society. Mr. Nancy is, without a doubt, one of the standout characters from Neil Gaiman’s American Gods. Played by Orlando Jones in the Starz series, which is entering its second season, Mr. Nancy (better known as the West African trickster god Anansi) is a complex and dynamic god whose story simply begged for its own saga. Back in 2005, Gaiman delivered it, and now Anansi Boys is coming back in gorgeous form. The Folio Society has announced that it’s following up its collectors’ edition release of American Gods with a new one for Anansi Boys, something the company says Gaiman personally requested. Anansi Boys tells the story of Mr. Nancy’s two estranged sons, who discover each other after their father dies and embark on a journey to learn more about their shared heritage. It’s not a direct sequel to American Gods, but does feature Mr. Nancy’s character from that story. According to a press release, Gaiman selected Detroit-based artist Francis Vallejo to do the artwork, and you can check out a preview below. The cover box art for Anansi Boys. A look inside at the art on the book’s cover. One of the color illustrations from Francis Vallejo. Another color illustration for Anansi Boys from Francis Vallejo. 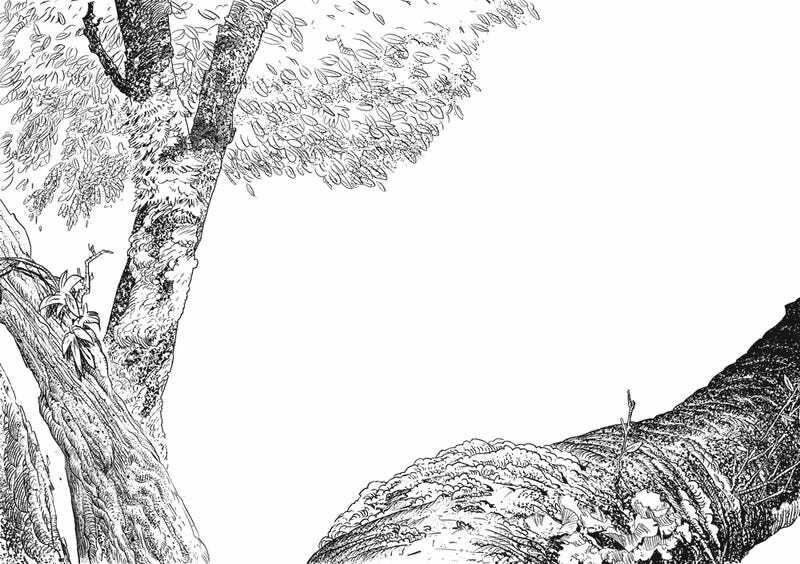 A look at one of the illustrated chapter headings, which combine to tell an animated story. The folio edition includes a preface from Nalo Hopkinson, the speculative fiction writer who advised Gaiman on Caribbean syntax and dialogue for the original novel, to ensure proper cultural representation. Vallejo’s art includes a textured printed slipcase (which looks and feels absolutely gorgeous), along with six color illustrations and a series of illustrated chapter headings that combine into a single story. The Folio Society gave io9 a gif of all the chapter headings in sequence, showing the final story they tell when combined together. Anansi Boys is now available through the Folio Society, along with new editions of Ray Bradbury’s Something Wicked This Way Comes and a dual release of the science fiction classics The Time Machine and The Island of Doctor Moreau. American Gods, illustrated by Dave McKean, is also available.